Few things are more worrisome for diabetics than when type 2 diabetes needs insulin. Some doctors even use insulin as a scare tactic. But the truth is, sometimes insulin therapy is really the only way to go. Most of the time insulin is associated with worsened diabetes or the end of the road. But hopefully after you finish reading, you’ll feel more confident that insulin is not the end and you can still regain your health. Insulin is indicated when blood sugar control can’t be achieved with diet, exercise, and oral drugs for people with type 2 diabetes. Early in the disease to help get blood sugar levels within normal ranges and to prevent complications of diabetes from developing. Later in the disease when oral drugs start to lose their ability to control blood sugar levels and fail. When needed in medical situations. For most newly diagnosed or people who haven’t had diabetes for very long, their doctor will put them on oral medications and a diet and exercise regimen. The goal is to get these three to work in getting blood sugar levels under control. But when a type 2 diabetic presents with weight loss, more severe symptoms and blood sugar levels greater than 250 mg/dL patients are started early on insulin therapy. Oral drugs don’t work fast enough sometimes, or they might not get blood sugar levels down enough. It is for in these situations that insulin therapy would be considered for lowering extremely high blood sugar levels. When type 2 diabetes has been getting worse over time and blood sugar levels have been out of control even when a patient is fully compliant with diet and exercise, and oral medications insulin therapy is usually the next step. Eventually, most type 2 diabetics drugs will stop working and fail to control blood sugar levels. There are a few reasons why this happens but the most common are the beta cells of the pancreas that are responsible for producing insulin begin to fail. This is when most type 2 diabetics require insulin. Sometimes it has even been shown that switching from taking diabetes pills to insulin therapy can improve blood sugar levels, especially when there was poor blood sugar control to begin with. Temporary conditions such as infection, Hyperglycemic Hyperosmolar State (HHS), severe injury, or surgeries that cause issues with glycemic control. 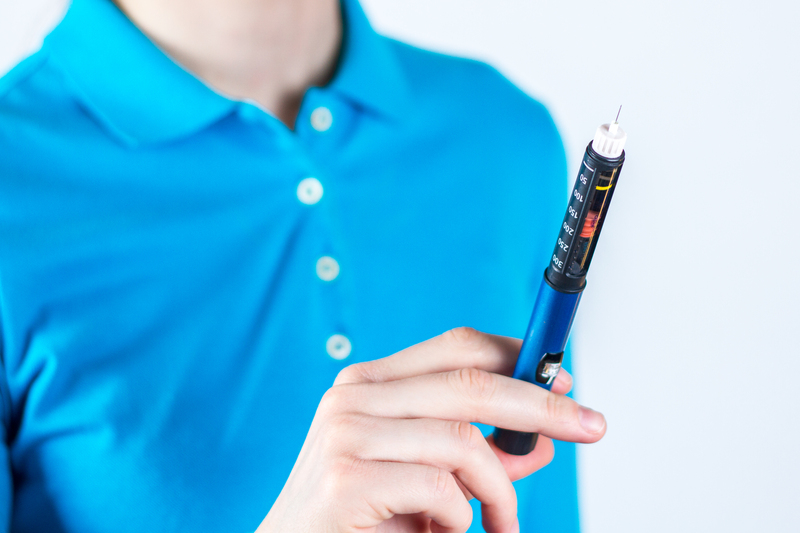 Insulin therapy for type 2 diabetes certainly has gotten a bad rap. But in situations where all else fails, insulin is the therapy of choice for most physicians. Most diabetics associate insulin with the end of the road or out of control diabetes. But when blood sugar levels are sky-high, oral drugs fail to maintain blood sugar levels, and diet and exercise are no longer getting it done, insulin therapy is usually required. Prior to using any of this information, please consult with your physician and diabetes healthcare team. What Are The Treatments For Type 2 Diabetes?